Happy Halloween, weekend #4! In case you missed the last three week's posts, throughout the whole month of October 2018, I have be en sharing some of my all time favorite FREE public domain horror movies with you--my readers! Join me for "scary movie night" this final weekend before Halloween for my all time favorite public domain horror flick! Then, throughout the weekend you can feel free to chat with me about the movie either here on the blog or on my Facebook page! The last movie in this marathon is the best of the best. House on Haunted Hill from 1959. It is another Vincent Price movie (he's my all time favorite horror actor) and I watch every single year. It became a tradition many years ago when I was still young. Back then, we would rent the movie on VHS tape from our local grocery store rental shop, pop some popcorn, and scare ourselves silly! I've already mentioned my love of "Old Dark House" movies, but none is better than this. It is the perfect horror movie formula. A bunch of strangers get locked in a creepy old mansion overnight. There are bleeding walls, severed heads, secret passageways, hidden rooms, and of course . . . murder. So, without further ado, enjoy with me this weekend watching one of the spookiest and best public domain horror movies around: House on Haunted Hill! TRICK-OR-TREAT! Do I have a treat for you! The latest book in my Pies and Pages cozy mystery series is out now on Amazon Kindle for only 99 cents and for free on Kindle Unlimited! Those of you who follow me on social media will know all of my recent woes about visiting the dentist. Many of you jokingly said I should include a dentist in one of my books . . . and so I have, thanks to all of your advice. And what better time to include a dentist than in a spooky Halloween mystery (at least I find visiting the dentist a little scary). When I was at the dentist this past month, I laid there with my mouth wide open while the dentist and his assistant worked away. Meanwhile, they chatted it up about the local Haunted Houses they were going to visit and what they might dress up as for Halloween. Well, that got me thinking about tons of story ideas, and I dressed up the dentist in my story as a vampire! Of course, as luck would have it, there is a murder with a "vampiric" touch. How much torturous pain can you stand? Pie shop owner Bertha Hannah loves Halloween, but not when she has a toothache. Forced to stop eating candy, pie, and all her other favorite sweets, Bert finally gives into one her her biggest fears . . . and goes to see a dentist. 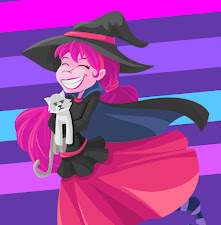 Too add to her already skyrocketing stress level, she has committed to making a batch of pies for the Halloween Charity Carnival being held at the local amusement park. 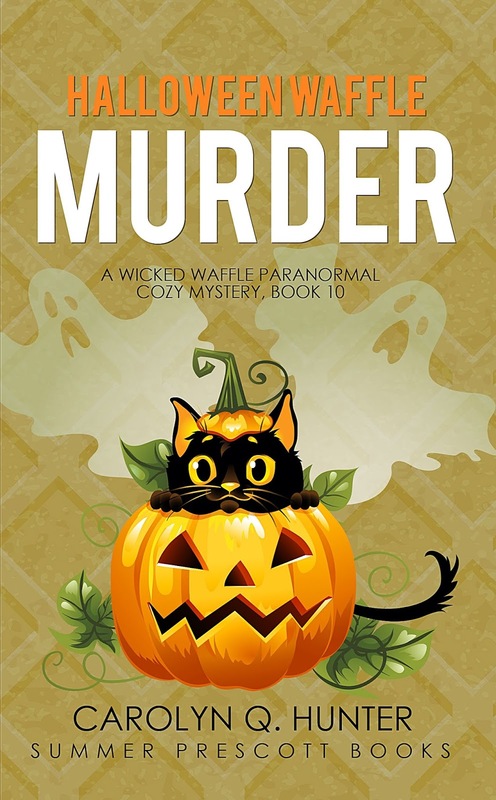 Bert’s excruciating holiday goes from bad to worse when she stumbles upon a body, the murder of which seems to be somehow oddly connected to her visit to the dentist and she begins to wonder what sort of fiend is running around the streets of Culver's Hood this Halloween. Will she be able put together the clues and solve the case, or will she be next to ‘donate’ blood? 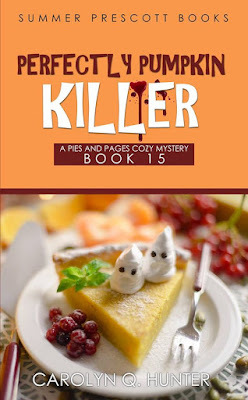 You can pick up Perfectly Pumpkin Killer for only 99 cents right now on Amazon Kindle. Please enjoy it and Happy Halloween! Happy first weekend of the Halloween season! Those of you have read my books, in particular my Dead-End Drive-In books, you'll already know my deep love for old school horror and sci-fi movies! So, in honor of my favorite time of the year, I thought I'd share some of that love with you, my faithful readers! Each weekend this month (October 2018) I will be sharing one of my favorite Public Domain horror movies from days gone by. That means that you can watch the movie right here, right now on the internet! That's right! Every Friday this month you can join me in watching a spooky classic! Then, throughout the weekend you can feel free to chat with me about the movie either here on the blog or on my Facebook page! 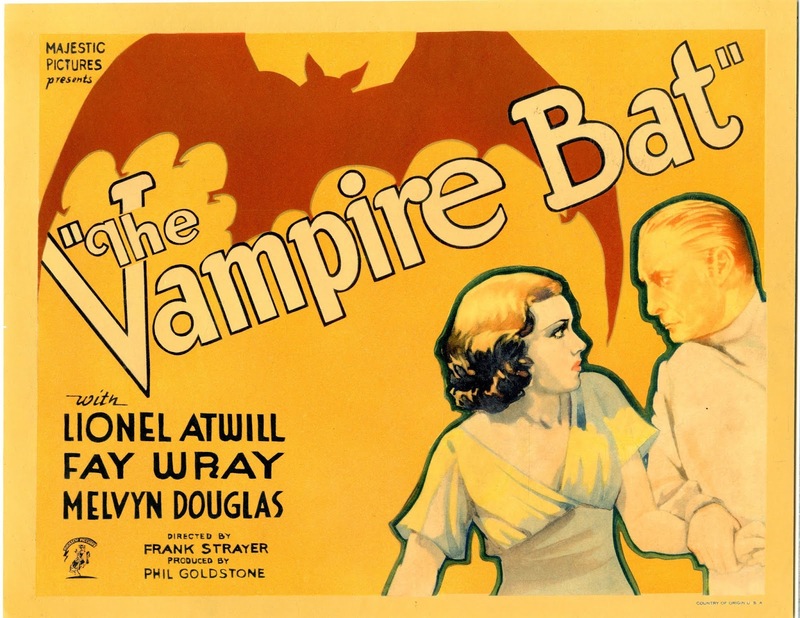 So, without further ado, this week's movie of choice is The Vampire Bat from 1933! As far as old scary movies go, my two favorite sub-genres are Old Dark House films (more on that later in the month) and Vampire movies! 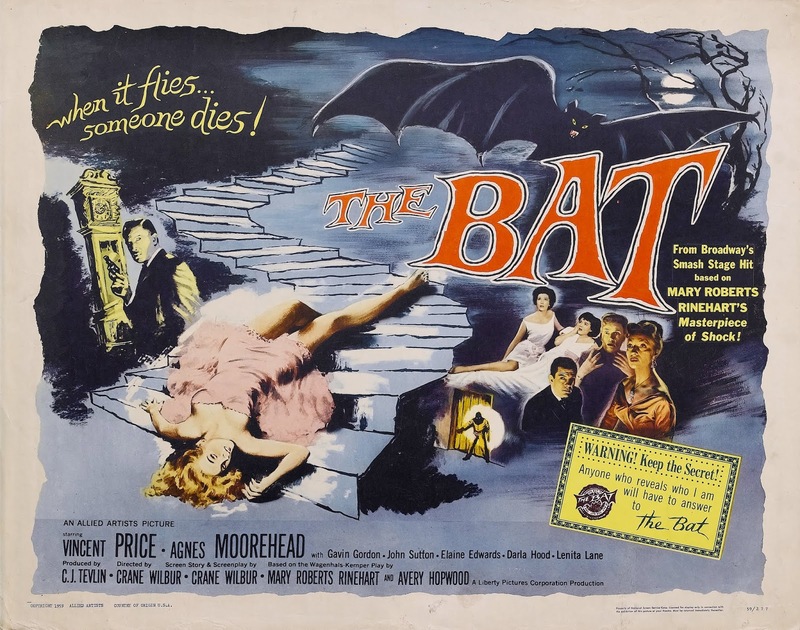 The Vampire Bat is one of the best, combining the original legend with mad science! What a treat! 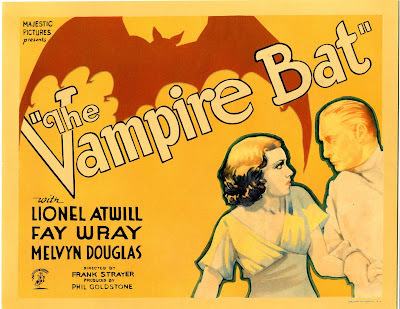 This movie is a great atmospheric treat and stars a few favorites including Fay Wray of King Kong fame, Lionel Atwill (who is always creepy), and Dwight Frye who played Renfield in 1931's Dracula. So, without further ado, enjoy with me this weekend: The Vampire Bat.